We accept same-day emergency appointments. Call us today at (301) 862-6783. If a toothache has left you searching tearfully for â€œemergency dental care near me,â€ you understand the value of knowing who to call for help. A dental emergency can be excruciating and inconvenient, and if you donâ€™t obtain emergency dental care, the condition causing the pain could get progressively worse. Fortunately, you have resources in your area. Our emergency dentists in Frederick are here to provide comprehensive, professional emergency dental care during business hours. At our emergency dental office, we will diagnose the problem, provide relief from symptoms, and make sure that you get the appropriate treatment to prevent further recurrences. Our office provides dental emergencies with same-day treatment during our normal business hours. When Is It the Right Time for Emergency Dental Treatment? Iâ€™m not sure if my symptoms are serious. How do I know if itâ€™s appropriate to get emergency dental care near me? Emergency dental care is required to relieve pain and dysfunction that interferes with normal life. Here are a few examples of problems that our office treats on an emergency basis. Broken and fractured teeth should be managed quickly to avoid infection and additional damage. Call our office as soon as you notice that there is a problem. Emergency dentists may be able to save your knocked-out tooth if you handle the situation carefully and quickly. First, find any broken pieces of your tooth. Be sure to handle the tooth by its crown. Rinse it under warm running water, and try to fit it back into the socket. If you canâ€™t, just store it inside your cheek to prevent it from drying out. Call us at once for additional instructions. Never ignore a severe toothache or sense of fullness or pressure around your teeth. Obtain care as soon as possible, and be sure to mention any symptoms that accompany your toothache such as fever or ear pain. Minor tooth sensitivity doesnâ€™t require urgent dental care, but if your symptoms suddenly appear or get worse for no apparent reason, you may have other factors in play such as a dental infection or a fractured tooth. Dental decay causes large cavities to form in teeth, which eventually leads to nerve or root exposure and pain or sensitivity. Our emergency dentists can assess your cavities and determine the best way to restore your teeth. An abscessed tooth is a serious infection caused by bacteria that invade the tooth root. Symptoms usually include severe pain, swelling, fever, draining sores, and swollen glands. An untreated abscess can cause serious problems, so call our emergency dental office without delay if you suspect that you may have this condition. Lost or loose fillings may seem like a minor inconvenience, but food can easily get trapped in the empty spaces where they contribute to decay. 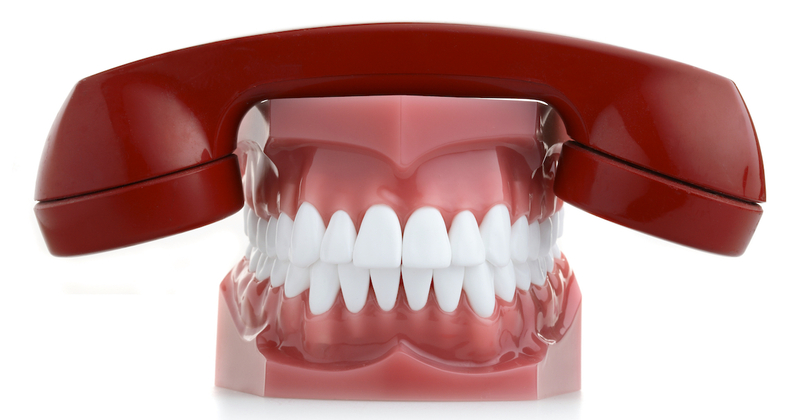 Call us promptly to have your fillings replaced. Broken crowns and missing restorations donâ€™t just make your smile less attractive, they leave your treated teeth at risk of further damage. Let our emergency dentists provide an effective temporary or permanent replacement for your lost restorations. Itâ€™s not uncommon to sustain injuries or suffer from mouth pain due to the metal components of orthodontic devices. We can provide relief from your symptoms and ensure that your braces donâ€™t cause further problems once you leave. Over time, grinding your teeth will damage the surface of your tooth enamel. We can help by strengthening your enamel and fitting you with a device called a night guard that can help prevent grinding that occurs while you sleep. An undetected infection or impacted wisdom tooth may produce sensations of sinus pressure. If your sinuses are healthy, we can help detect or rule out dental problems that might be causing the discomfort. My condition may be threatening my general health. Should I still head to the emergency dental office near me, or should I take a detour to the hospital? Emergency dentists in Frederick canâ€™t provide advanced medical treatment in serious or life-threatening situations. If you experience profuse bleeding, severe swelling, or an injury to your head, face, or jaw, call 911 or proceed to the nearest emergency room for treatment. The cost of emergency dental care is difficult to predict because each patient requires different levels of treatment. However, emergency dentists can usually give you a rough estimate after assessing your condition. Our office accepts credit cards and most dental insurance plans. We also offer financing options to help ease the strain on your budget. If you lack insurance coverage, you may be interested in our DentRiteÂ® discount plan. DentRiteÂ® isnâ€™t an insurance plan, but it does provide huge savings on common dental procedures and services. Everyone can qualify, and your memberships also covers your family. Contact our office for more details. My toothache started on Saturday. Is it safe to wait until Monday during business hours to visit the emergency dental office near me? Some minor problems can wait, but significant or unexplained pain and other severe symptoms may need immediate attention to prevent them from getting worse. When our emergency dentists in Frederick are not in the office, head to a hospital emergency room to get the care you need.